Diabetics: Learn to Manage Your Diabetes Better with These Tips! Learn how to better manage the daily ups and downs of diabetes care in this article. Checking glucose levels, monitoring blood pressure and monitoring food intake—these are just a few of the daily activities known all too well by diabetics. Effective diabetes care requires consistent, ongoing care management—realizing that ignoring diabetes can result in serious health complications such as heart disease, high blood pressure and even diabetic coma. Thankfully, there are steps diabetics can take to alleviate the stress of diabetes care and remain hopeful and healthy. Accept help. Family, friends and coworkers can offer an understanding shoulder to lean on. Diabetics need to let them know what will be helpful and what to watch for. A home caregiver, such as those at Hired Hands Homecare, is trained in diabetic care and can serve as an excellent resource for diabetes care support and encouragement. Change your care focus to recognize benefits. 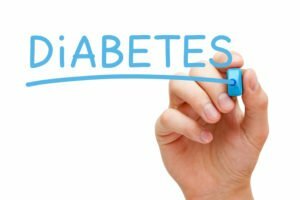 While it’s true that proper diabetes care helps prevent diabetic complications, if it’s challenging to constantly maintain the necessary level of care, it’s important to also consider other benefits that can help. For instance, properly managing diabetes could result in better agility on the basketball court, improved work productivity, and the ability to better enjoy hobbies and interests. Stay with a diabetes care plan. Creation of a daily routine will help with managing diabetes care effectively. Remember to consider how that plan will be affected if there are disruptions to the regular schedule. If you live in Marin, Sonoma, Napa counties or the Tri-Valley area, Hired Hands Homecare can provide professional, consistent in-home care for diabetics, resulting in more effective management of the disease. We’re pleased to offer the highest quality caregivers North Bay and the surrounding areas have to offer. Contact us online or call (866) 940-4343 for a free in-home assessment or for more information.